Happy Sunday! Today is a new challenge over at Jaded Blossom! This months challenge is Summer! I decided to make a summery birthday card for a friend. Isn't this summer girl adorable? I colored her with my copics. From Jaded Blossom I used Happy Summer, Luggage Tag Dies, Halloween Dies, Sweet Birthday Wishes and Card Mat dies. What a CUTE card! Fun bright colors and love the darling image! She is a cutie pie!! Adorable card!! Oh How SWEET! 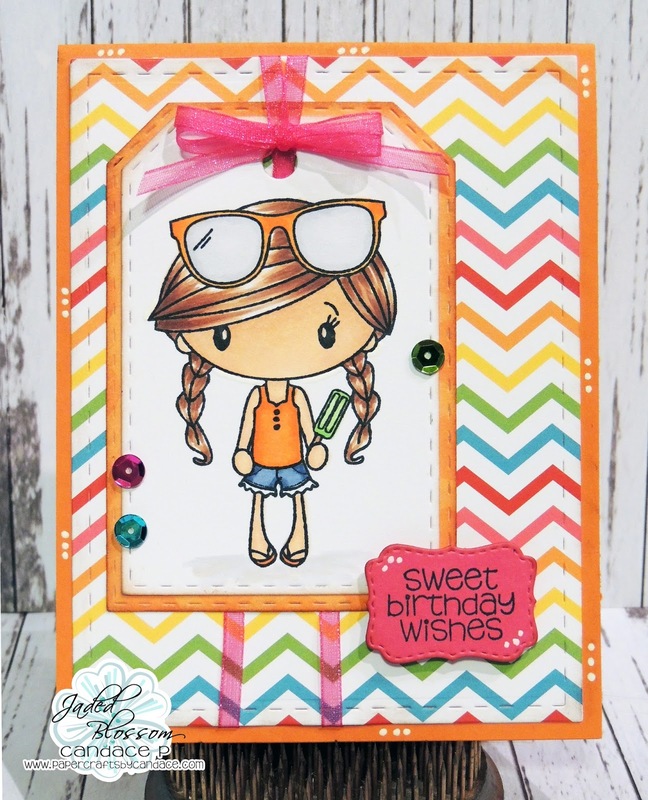 Adorable Summer Time Birthday Card! :) Have A Wonderful Day!